I have taken Git how-to classes and read several how-to books on the Git distributed version control system. But I don’t use Git every day. Therefore, I tend to forget how to do certain tasks when I once again start bumbling around with my various local and remote Git repositories. Git in Practice is exactly the book I have been needing at my computer. Git in Practice gives clear how-to steps, plus descriptions of ways to be more efficient and effective with Git in individual and team settings. And the well-written book even provides interesting background on how Git came to be–and be the way that it is. For Git newcomers (and for those like me who tend to get rusty fairly quickly), the book’s appendices include how install Git, how to create a GitHub account and repository and how to benefit from the author’s heavily commented Git configuration files. There also is a handy index of Git methods for those times when you think you remember a particular command-line entry but aren’t sure exactly what is supposed to happen and what options, if any, may appear. It matters not if you are new to Git, or someone who uses Git sporadically, or someone who uses Git daily as part of a software development or software test team. 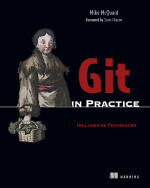 Git in Practice is a fine and useful book to keep within reach. Drupal has (1) a lot of fans, (2) a lot of people who wonder what the heck it is, and (3) a lot of people who complain about it. Sometimes, a Drupal user is each of these at the same time. Officially, Drupal is “an open source content management platform powering millions of websites and applications.” Thousands of add-on modules and designs are available, and individuals, groups, organizations and companies use Drupal “to build everything from personal blogs to enterprise applications.” Indeed, some big and well-known sites use Drupal, including The Economist, Examiner.com and the White House, to name a few. There is a learning curve, but Drupal specialist Dani Nordin’s new book can help you (1) get started with Drupal, (2) help you wrap your mind “around the way Drupal handles design challenges,” and (3) help you master important techniques and tools. You will also learn the importance of doing detailed site planning first and keeping up with version control, even if you are a solo designer. To work with Drupal, you should have some familiarity with HTML and CSS, and you should be open to learning some PHP. But careful planning and design work up front will be essential to your success, she emphasizes.